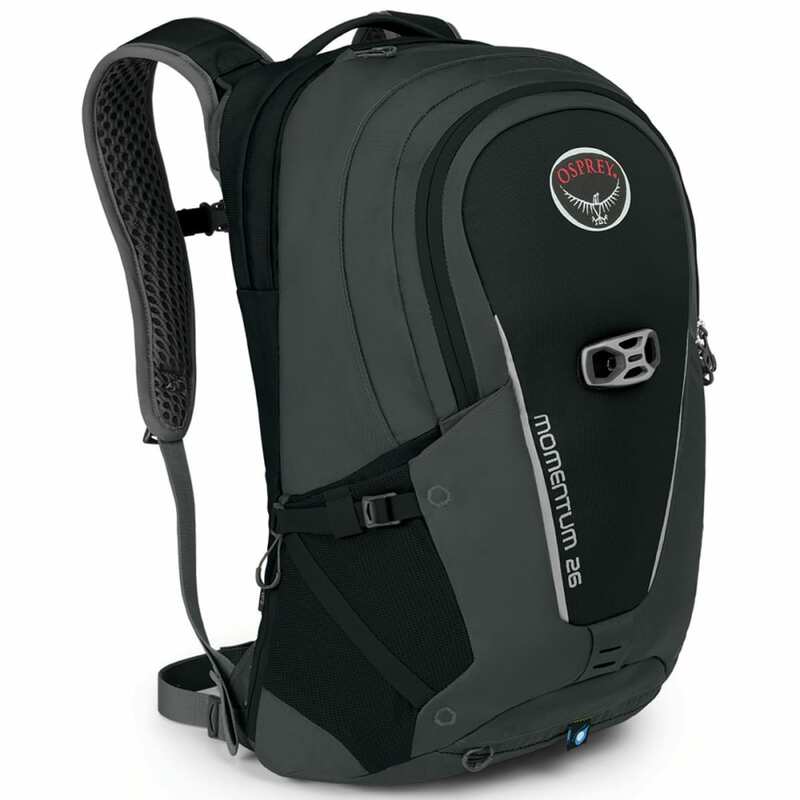 Grab Osprey’s Momentum 26 for a ride to work, school, or just around town. 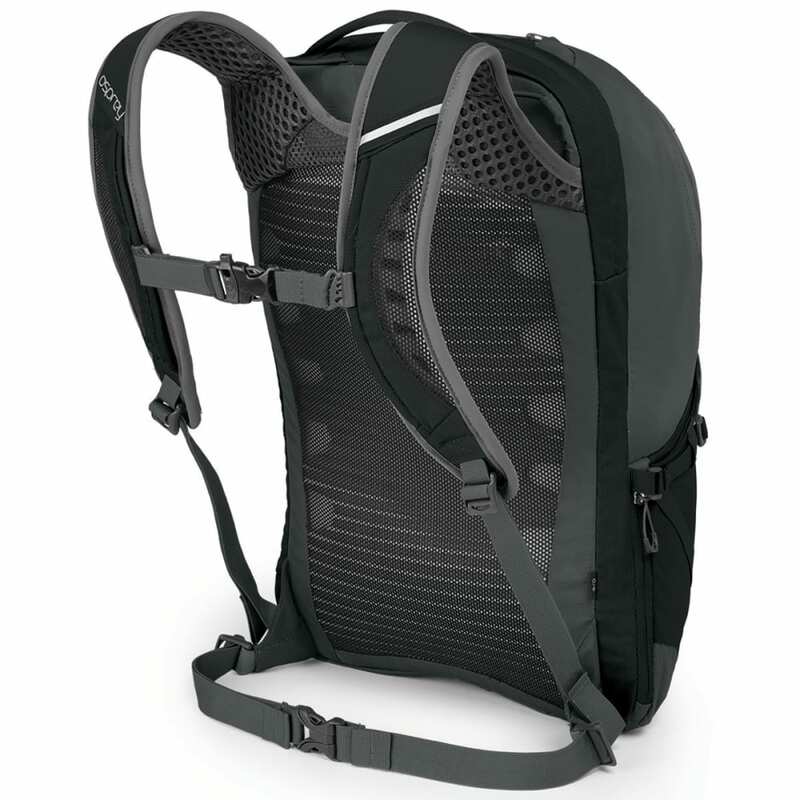 Even when carrying heavy loads or on big climbs, the mesh covered shoulder straps and backpanel ensure ventilated comfort. LidLock™ helmet attachment keeps your hands free to dig for change at the coffee shop and the blinker light attachment and reflective details provide low-light visibility options for early or late rides. Commuting is not a fair weather sport, but a built-in high visibility raincover keeps your pack and gear dry in the slop. Laptops and tablets stay safe in a dedicated top-zip sleeve, and the main compartment has document sleeves and plenty of room for your commuting, school, and work gear. A smaller zippered front panel pocket features mesh organizers and pockets to keep smaller items in their place. At your desk, open the zippered front panel to access the pack’s main compartment where you’ll find an internal document sleeve, mesh organization pockets, and padded laptop and tablet sleeves. There’s also a pair of stretch mesh side pockets for extra storage options. The Momentum Series offers specific bike commuter features including a LidLock™ helmet attachment system, reflective details, blinker light attachment and a built-in, snug fitting high visibility raincover. Airscape™ Backpanel: A mesh-covered ridge foam backpanel provides ventilation and comfort when hauling heavy loads or climbing big hills. Dimensions: 20H X 12W X 11D IN.